There’s been lots of talk for a while about the Internet of Things or Internet of Everything and it seems the next phase in the development of the internet will be to move ‘everything’ onto the grid. So its logical with the boom in human wearables that we start to consider our pets, hobbies and smart collars – so yes Appwriter is now also a wearable app developer. Human beings aren’t the only ones going barking mad for wearables. Our beloved pets have an increasing fashion collection of smart collars available. Currently the two leading products are Whistle, an exercise tracker for your pooch, and Tagg, a GPS tracker designed to keep your pet safe by monitoring its whereabouts over mobile network and providing real time data back to the owner through the app. Data from the American Pet Products Association (APPA) there are over 80 million dogs in the USA and nearly 40 percent of households owning at least one dog. Here’s a fact for the business case – there are actually more households in America with dogs than households with kids, so simply put its a market about to explode. 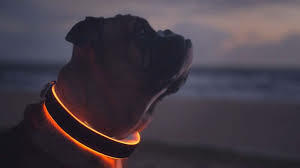 Now as a wearable app developer, Appwriter is investing heavily into this market with hardware design and apps that can connect you to your pet and across a mobile network. This provides huge possibilities with online data about heart rate, temperatures and exercise habits as just the beginning. Using GEO fencing we can even provide a perimeter to monitor and alert the owner if your pets cross the GEO fence or escapes. The solution can help identify when your pet has strayed where it shouldn’t be and also identify where he is if lost using simple GPS identifier, as well as alerting you if your pet is in distress or needs attention. This is not totally new and many solutions are currently being launched overseas as this market is set to explode, see below an example of great solution from Tagg. So if you have an idea and a market for your own industry as a wearable give us a shout and connect with Appwriter, wearable app developer based in Melbourne.